Without doubt, we know that your highest business energy cost will likely be lighting. 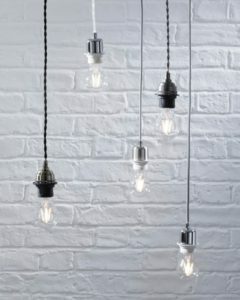 But at Bishop Site Service, we also believe the proper lighting installation can lead to incredible savings. And it’s not just the lighting itself, although we can’t stress enough that energy-efficient lights far surpass the performance of traditional lighting sources. No, you should understand that reducing the heat output from your lighting will also lower air-conditioning costs. And, for industrial-use buildings, productivity, safety, security and aesthetics can be endangered without proper lighting. Moreover, whether for industrial or residential use, intelligent lighting design leads to enhanced employee/tenant health and comfort. There are a number of checklists you can go through to plan an energy-efficient design to fit your building and your individual needs. By bringing Bishop Site Service into the mix, we can help to structure the lighting system that works best for you. It’s commonly known that energy-efficient lights have the capability to use less energy to produce the same amount of light output, with the same quality and performance, as traditional lighting sources. Recent technological developments have advanced the energy efficiency abilities of light bulbs by 30-60 per cent, which means lower utility bills and environmental effects. Using less energy reduces emissions of carbon dioxide, air-borne mercury, and other harmful pollutants from power plants that burn fewer fossil fuels to meet the lower energy demand. Lamps with longer life will require fewer replacements, reducing the demand for raw materials and lowering recycling costs. 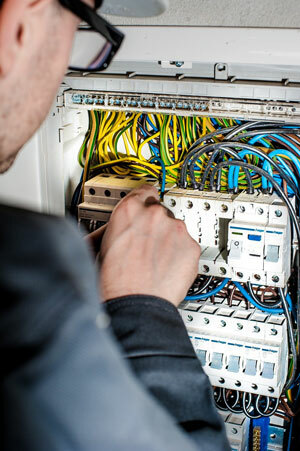 There are several key points to remember, as well, when having a licensed electrical contractor from Bishop Site Service look at your lighting system needs. If your current lighting system is more than 15 years old, then it’s definitely time to consider an updated design. Sometimes, existing lighting systems might be over-designed, which means too much light is being used. This, too, is extremely inefficient and perhaps removal or retrofitting should be a consideration. Bishop Site Service can provide the professional advice you require in this case, as well. And how to properly inspect and clean your lighting systems. Again, we stress, this is just a starting point. At Bishop Site Service, we will walk you through the best energy-efficiency processes before you embark on a removal, upgrade or retrofit project. Always remember: With the right lighting system, you will realize your greatest opportunity for savings.